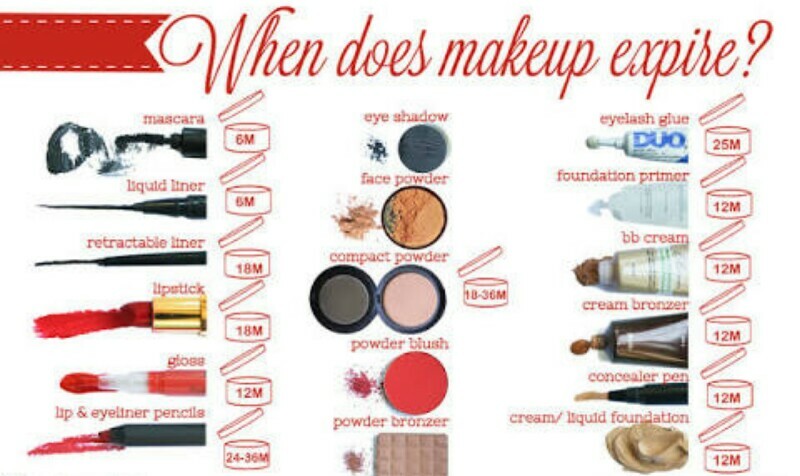 Makeup Expiration Dates : Your Makeup Doesn’t last Forever. | Ellapinkette || Beauty. Lifestyle. 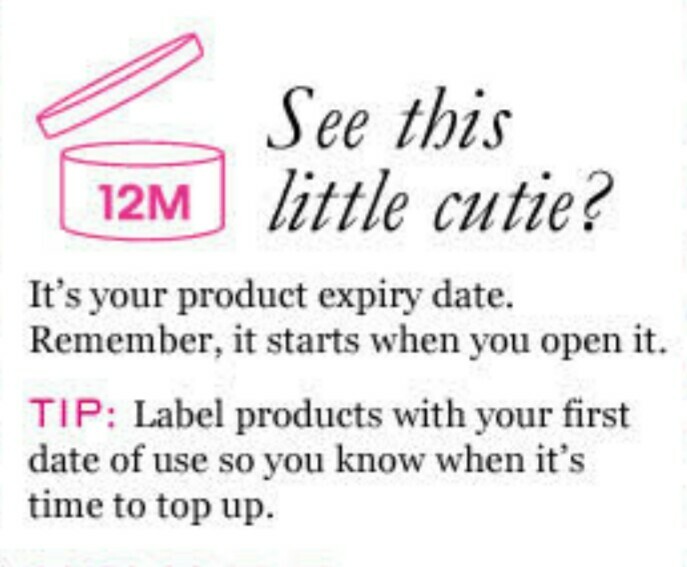 Makeup Expiration Dates : Your Makeup Doesn’t last Forever. I bet you don’t think about this as often as you should. But, your makeup truly doesn’t last forever. Or at least for as long as you want to keep it. My first contact with makeup has to be from my mother. She pretty much has the basic things. Pressed powder, brown eye pencil, black eye pencil, lipstick. Many of her things were purchased from “the abroad ” and she used to keep these makeup items really well and use them for church and special occasions so they don’t run out before her next trip or before she sees someone returning from a trip. My first MAC lipstick was actually a hand me down when she got an early replacement. So, thinking back now, some of those items stayed longer than their shelf-lives. And this is how most of us use makeup. Till we hit pan! But who wants to throw out their expensive rubywoo before it runs out? Lol. 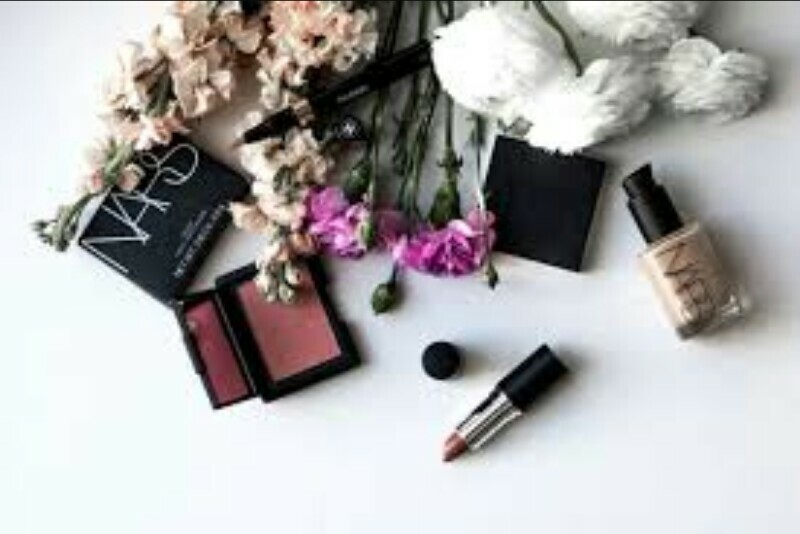 Nonetheless , expired makeup can cause more harm on our skin than we know so we should know when it is enough and when we have to let go and get replacements. This will also teach us the act of discipline so that we learn to buy just what we need. Most especially if the makeup is for just personal use. 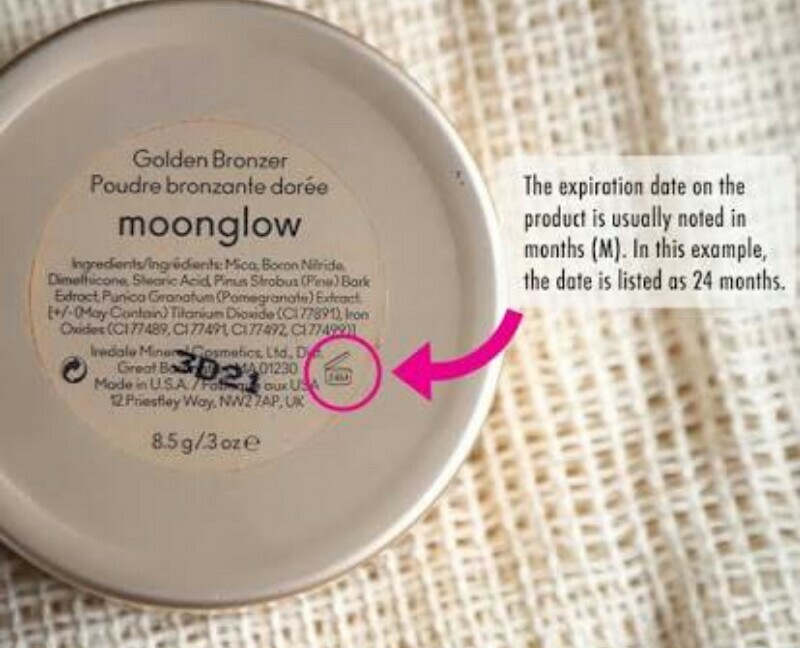 Makeup companies are not always required to put expiration dates on their products unlike food and drugs. A couple of makeup companies though indicate in some ways. Some put date, month and year. Some have a symbol of an open jar with a number and letter (D/M/Y) D-Days, M- months, Y-years. So, 18M means 18months. That is, a year and a half. Here are lifespans as well as some tips and tricks to know when it is time to toss. Mascara: I think this is the one to watch out for the most because every time we bring out the wand and put it back in, we introduce bacteria. Toss time: when it gets clumpy or starts to smell funny. Tips: Don’t pump your mascara. Don’t share your mascara. If you have to, use disposable wands. Liquid Foundation and concealers: Almost all are water based and so can breed bacteria. Shelf-life : 6-12 months. The stick ones can go up to 2 years. Toss time : When it gets waaay lighter or darker than it was originally. When it seperates into layers, breaking or cracking. Tips: Keep your makeup in a cool dry place away from direct sunlight that can make it to spoil faster. 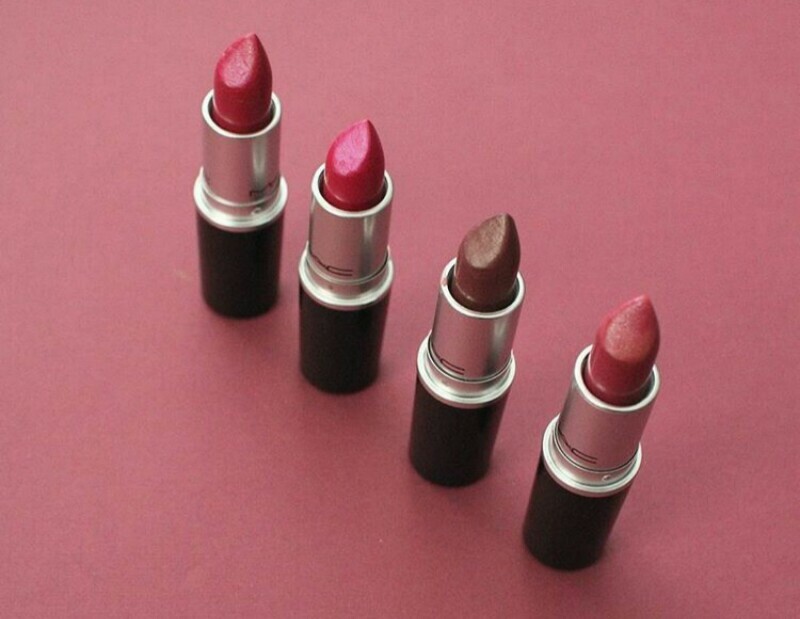 Lipsticks and lipgloss: These do not contain water and so don’t attract bacteria but since they go on the lips, they should be changed after some time. Shelf-life: 2 years for lipstick. 1 year for lipgloss. Toss time: When the lipstick become dry or the lipgloss becomes extra sticky. When it is harder to apply and starts to smell funny. Tips: Don’t use lipsticks straight from the tube at a makeup counter. Test lipsticks and lip glosses from a disposable applicator. Powders, Eyeshadows, Blush: these don’t have any water and can last so long as moisture isn’t introduced. Shelf-life: Up to 2 years. Although eyeshadows have a shorter life span because they come in contact with the eye, a very sensitive part. Toss time: When it becomes too dry and flaky or too hard that it is difficult to get off the compact pan. Tip: Clean your makeup tools properly to prevent spread of germs. Eyeliners: These also come in contact with the eye and so shouldn’t stay in your makeup bag forever. Toss time: when a white film forms on top of your liner. Or on top of the pencil and refuses to be sharpened away. Tips: Clean your eyeliner brush properly after each use. Sharpen your pencil before each use to get rid of old lead. Makeup brushes: yes this is part of it too oo. I know some people here may have never washed their makeup brushes. Eww! Toss time: Well, if your brushes are not of too high quality, the bristles may start climbing and shedding. They can get too hard and cause streaks. 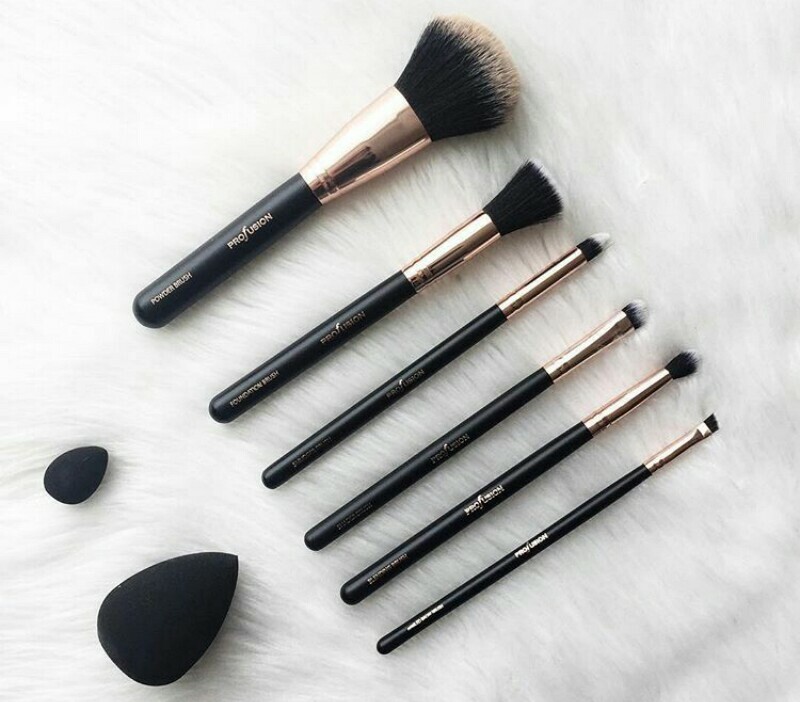 Tips: WASH YOUR BRUSHES EVERY TWO WEEKS, if you use the daily. I’m serious, guys. Dirty brushes cause acne and all sorts of skin reactions. If you’re a makeup artist, this can’t be over emphasized. You are using your brushes for many clients. Don’t spread germs. I talked about what I use to clean my gazillion makeup brushes without tiring, here. Shelf-life: 3 months for the ones like beauty blenders. 2 uses for those disposable wedges. Toss time: when the sponge is ripping and tearing a D not going back to its original shape. Tips: wash with a soft cleanser like baby shampoo. And also, for extra, I’ll add…..
Nail polish: This one never actually gets bad from bacteria. It just gets old. Toss time: too goey nail polish means it’s getting bad. When it seperates into layers and doesn’t mix back after a good shake, then it is time to toss. Tip: a nail thinner will make your nail polish last longer. Shelf-life: 2 years. This is good news for people like me that don’t bother with lotion till harmattan. Toss time: when it changes colour or scent. Tips: it is better to get one with a pump as opposed to one in a jar. Reduces the risk of bacteria. Tips: Keep away from bright lights. That’s it guys. Hope we learnt something. We can share our experiences, mistakes and findings down in the comment section below. Do follow me on facebook, twitter and on instagram here and here. Subscribe to the blog too! These make me so happy. I actually never knew those had expiry date….that’s weird. Though I don’t use them for too long. Have to start looking out for it. Lol. Up until some time ago, I didn’t know too. We learn everytime. Yes, I look out for that too. Thank you Ella, I now know better. You’re welcome. I’m so glad you learnt something new. Thank you! Going straight to your blog now. Pingback: Favorite Products of the Month -October 2016 | Ellapinkette || Beauty. Lifestyle.